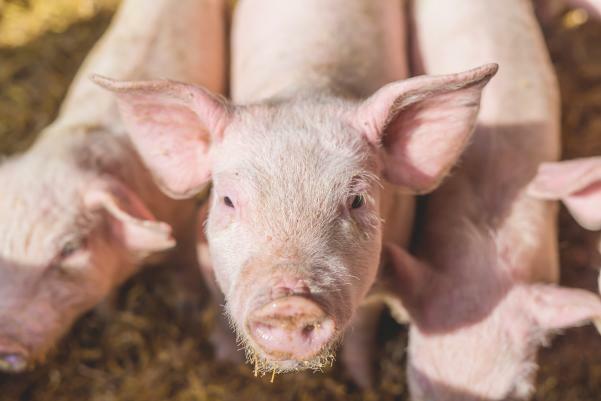 The Iowa Court of Appeals recently interpreted a manure easement agreement and agreed that a farmer was entitled to damages for a hog facility’s breach of the agreement. The court did reduce the damages from $70,433.93 to $43,909.99 after finding that the farmer had failed to prove damages for the year he planted soybeans. In addition, the farmer received $15,451.81 in attorney fees and $3,000 in appellate attorney fees. The farmer purchased 146 acres of farmland from a couple that retained a 10.25 acre parcel upon which to conduct a hog farrowing operation. In conjunction with the sale, the parties executed a manure easement, which gave the hog facility the right to apply manure to the farmer’s field and gave the farmer the right to as much manure as needed to cover his 146 acres. The easement was to run with the land and was binding upon successors. The farmer was to pay the cost of the application. Several months after the agreement was signed, the couple sold its hog facility to a company that transformed it into a hog finishing facility. When it became time to empty the pit, the farmer demanded enough manure to cover his 146-acre parcel. The company provided the farmer with enough manure for only 73 acres, arguing that the farmer was to employ a corn-soybean rotation that would render every-other-year application appropriate. The farmer filed an action against the company alleging breach of the manure easement agreement. The trial court ruled in favor of the farmer, awarding $70,433.93 in damages and $15,451.81 in attorney fees. On appeal, the Iowa court affirmed, but modified the judgment to reflect the evidence. First, the company argued that the manure easement did not impose a burden upon it because “easements create interests for one person in the land of another, resulting in a burden on the servient estate.” The company thus argued that only the farmer was burdened by the manure easement. The appellate court dismissed the argument, finding that easements are subject to ordinary contract principles. Here, the court ruled that the terms of the manure easement agreement explicitly imposed a burden upon the company to place manure upon the farmer’s property. Those terms were controlling. The court also found that there was nothing in the contract to support the company’s contention that its “finishing” manure was more valuable than its predecessors’ farrowing manure. As such, the company was not subject to a “greater burden” than was intended by the contract. Next, the court disagreed with the company that the contract imposed a duty upon the farmer to rotate his crops, thus entiting the farmer to manure only every other year. Nothing in the contract so provided. Finally, the court did agree to reduce the farmer’s damages by $26,523.93, which was the cost of fertilizer typically applied for one crop year. The farmer had planted soybeans (which do not require fertilizer) that year, and he did not prove that he incurred any damage due to his lack of access to the company’s manure. This case demonstrates the enforceability of a properly recorded manure easement agreement. In light of the cost of fertilizer, damages for a breach can reach significant levels. Because the parties had included an indemnification clause (including the right to attorney fees) in the agreement, the farmer was able to collect $18,451.81 in attorney fees as well. The case is Thompson v. JTTR Enviro, LLC, No. 16-1610 (Iowa Ct. App. July 19, 2017).